In selecting rums and considering ‘maturity’ as an indication of quality, there are some key issues to bear in mind. Unlike other spirits, where literal age is often used to imply quality, the climate of the Caribbean means that Caribbean rum matures on average around 2-3 times faster than in cooler climates. As a consequence, a two or three year old rum can easily match the complexity and ‘age’ characteristics of other premium spirits that have been aged for much longer. In short, rum doesn’t have to be 8, 10, or 15 years old to be excellent. Indeed most rum producers will argue that it is the art of the master blender, in selecting individual barrels and then balancing the subtle flavours and aromas of rums from these barrels, that is the key factor in crafting a truly great rum. Nevertheless, it is important that consumers are clear as to the credentials of the product they are enjoying. Where age claims are made these should be transparent and easy to understand. All Authentic Caribbean Rums are produced to the highest standards and thus conform to international regulations concerning statements of age. Any statement regarding the age of an Authentic Caribbean Rum will therefore refer solely to the age of the youngest rum in the blend. For example, a bottle of Authentic Caribbean Rum with ‘8 years old’ written on the label may well contain a proportion of rum which is much older, but none will have been matured for a moment less than eight years. 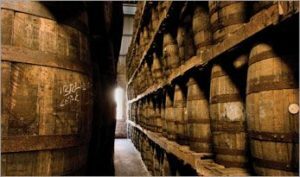 Furthermore, it is not permitted to use the ‘Solera’ method – the practice of adding quantities of fresh spirit into barrels containing older spirit – to establish an age claim for a product, neither is the practice of average ageing. While these are practices well used in some countries they are not permitted to be used to justify an age attribution for rum in any WIRSPA territory, within the EU or many other international markets.